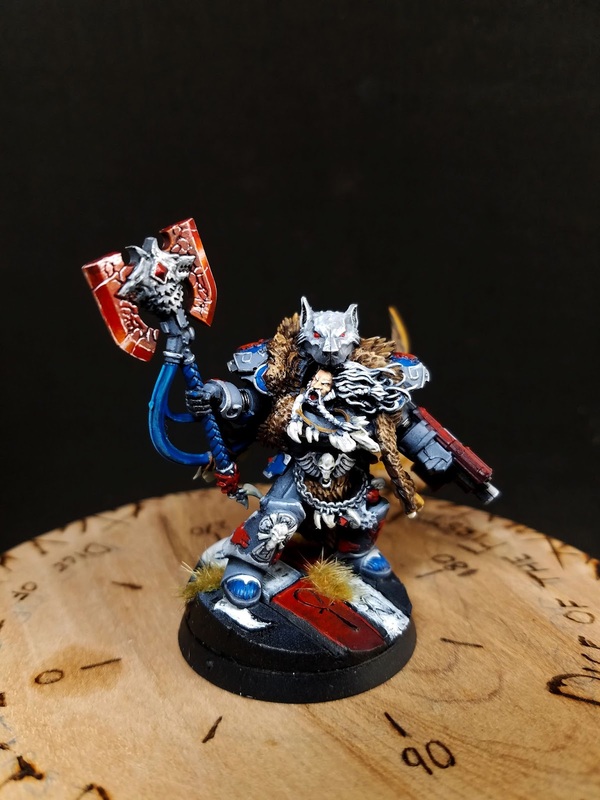 Dice of the First Degree: Hvarl Red-Blade, the Space Wolf HQ without a model. Hvarl Red-Blade, the Space Wolf HQ without a model. Let's lead off with at least one image of the final product. So, in the new Inferno book, under the Space Wolves character HQ, there's the Fell Hand, Red Blade and Russ, and two of the three have models. Russ, who can't be taken below 2.5k points and Geigor, who comes in the Prospero Box. 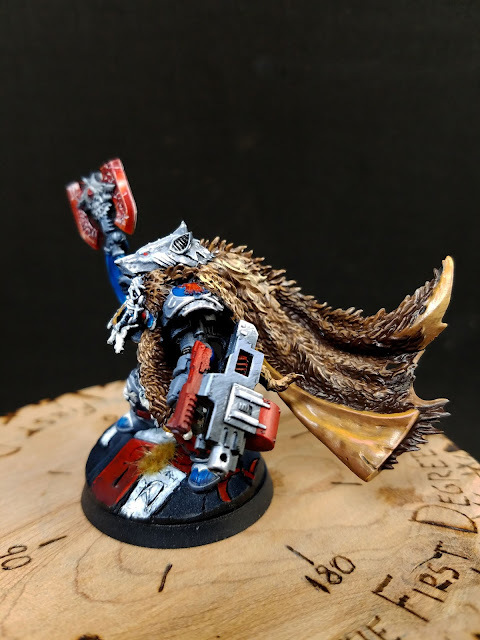 Of the three, Hvarl is by far the most desirable due to accessibility (<2,5k pt games) and the abilities he brings to the table for his army over Geigor's just really decent melee prowess. So of course, Hvarl doesn't have a model. To further complicate things, Hvarl is slated to wear Tartaros armor which is a relatively new sculpt in the Horus Heresy line, most Tartaros armor suits coming from the Prospero box. The only really cool Tartaros sculpt out there is the exlusive HQ dude that's holding a two handed spear thing. Really pretty model, and probably what I would have chosen if I had ready access to it, which I did not. So I began browsing models looking for options. I decided that most Indomitus pattern Terminator suits would actually convert into Tartaros pretty decently. The chest just needs an edge sculpted onto the front, and the legs need their recesses filled in and the round kneepad needs sharpened into a point. All of this can be done with the addition of greenstuff, rather than the removal of material. Pack some Tartaros shoulderpads on and we're basically there. Hide the problems under the fur and we're golden. The arms didn't bother me too much since there's a lot more freedom given to HQ models, and a lot of it was going to be largely unseen anyways. I also decided not to cut off the heraldry on the legs since I liked what it added, and could simple add a greenstuff edge to the knee. So, let's begin. 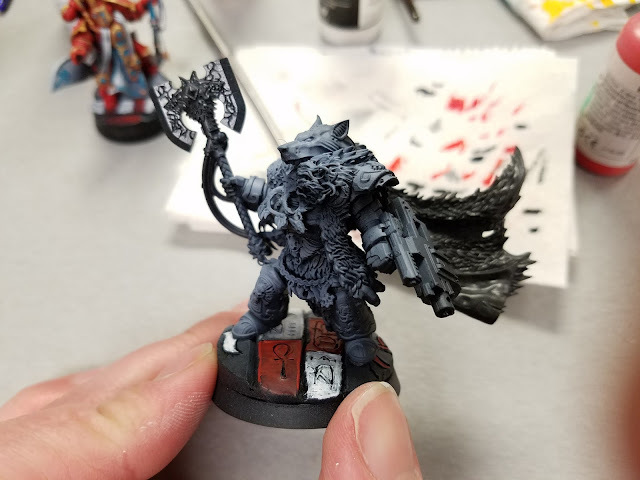 Grimnar has all the fur cape that is awesome, has an axe already, and a lot of detail that doesn't interfere with a Tartaros conversion. The only thing he really needs is a Heavy Bolter, and not the wrist mounted Storm Bolter which made me a little sad but ok. I don't know what I'll do with the Stormrider. Probably make terrain out it. Really the only part of the model I won't use for awhile. 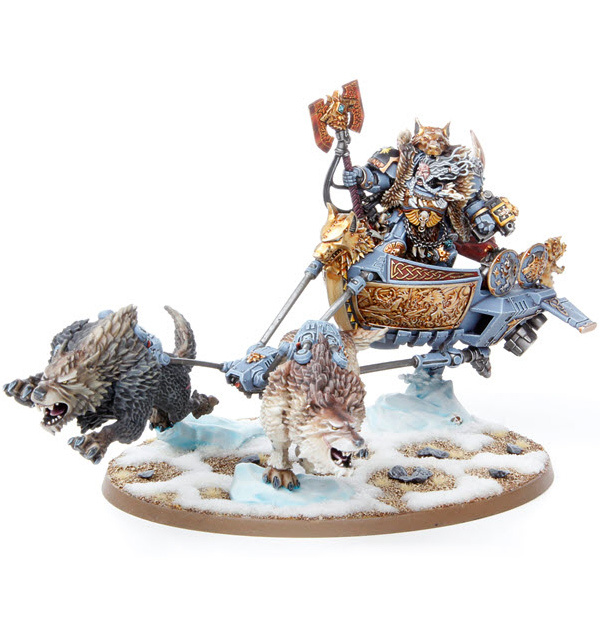 The wolves, however, I really like, and in the previous article, sculpted fur onto them to create Leman Russ's personal entourage instead of using the two roided-out rats that Forge World has instead. Most of the leg work was filling in the leg recesses. I left the joint material. 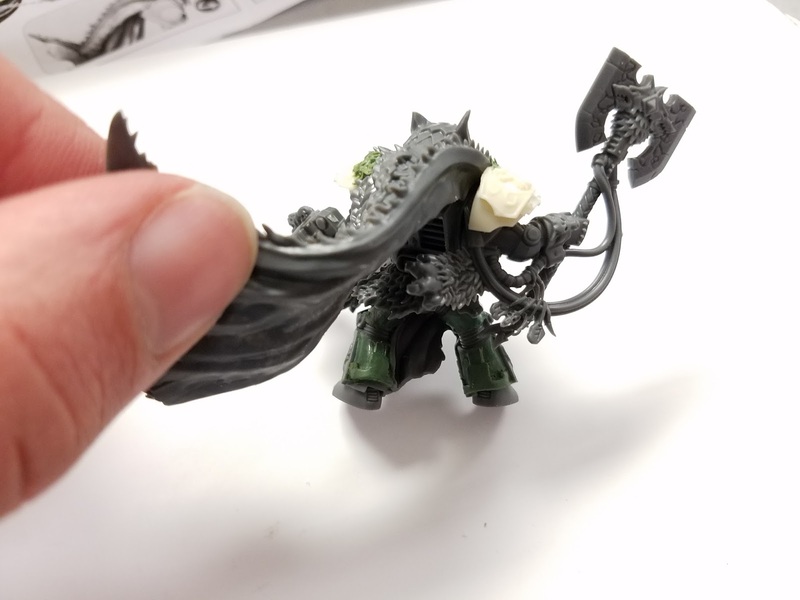 I didn't add the hip plates because he comes with some already that are more decorative and again, indicative of an HQ. Here you can see I added the ridges specific to the Tartaros lines. I also cast a Tartaros pad and Geigor's shoulder pad together to create these shoulder pads. My other Tartaros termies are wearing the same thing, though lower quality. The leg on the left is more easily seen here and you can see the kneecap angle I added. I also bulked out the chest and brought it to a fine point/line across the torso just like the Tartaros. I added some decor to it but you can't tell at all under all the stuff Logan has going on. Some easy fur sculpting to cover gaps and make everything meet. The cape has one shoulder pad sculpted in that I had to cut out, thus some more fur liberally sculpted in. So, here, my newness to the game shows through because I thought the wrist mounted gun was a heavy Bolter and was luckily corrected before I basecoated the model. 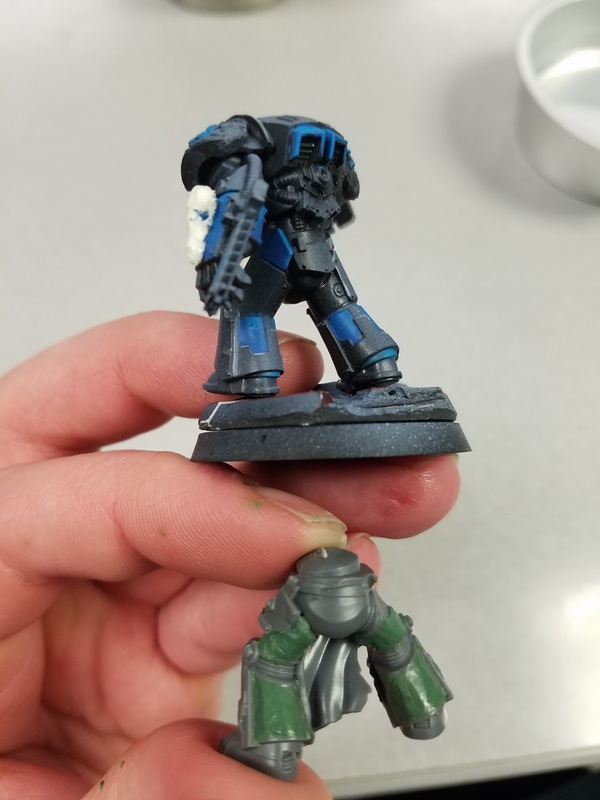 So I took an MK3 heavy bolter (I think) and shaved down the hand embedded in the sculpt and glued it right into the spot left by the storm bolter. It actually works pretty well. The base is sculpted out of Super Sculptey III and baked. 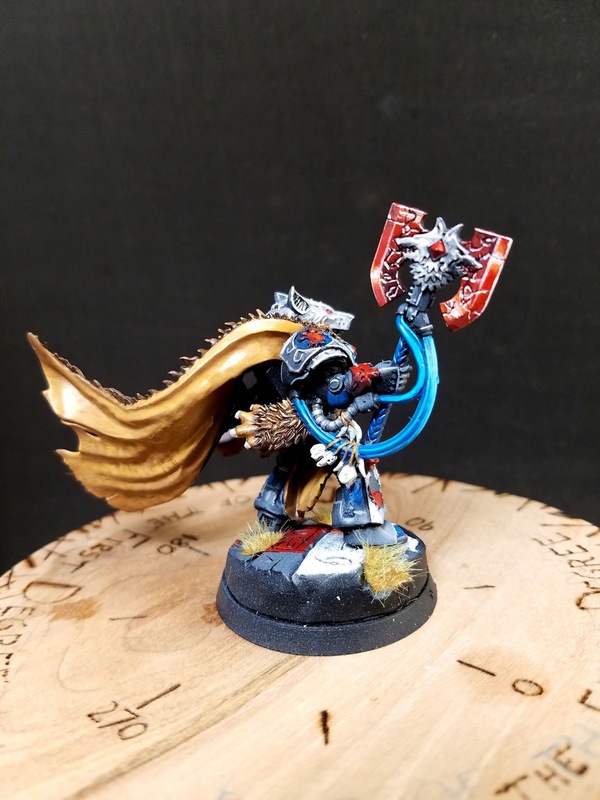 It keeps with the same Prospero theme I've been using in my bases. Here, I've got the base painted, him mounted and basecoated. 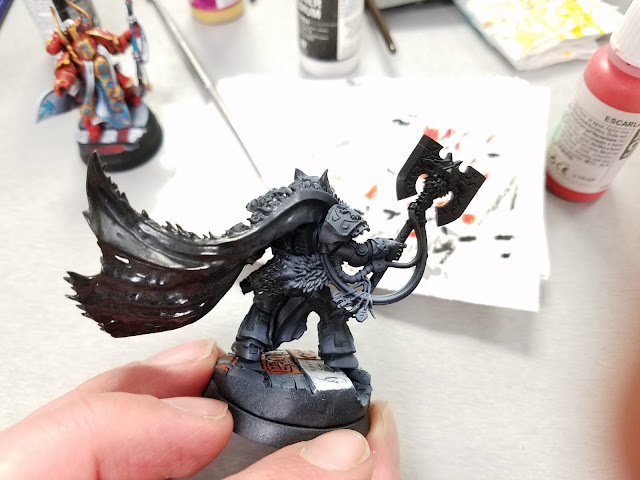 I'm extremely happy with how the axe turned out, and I think it holds his name very well. 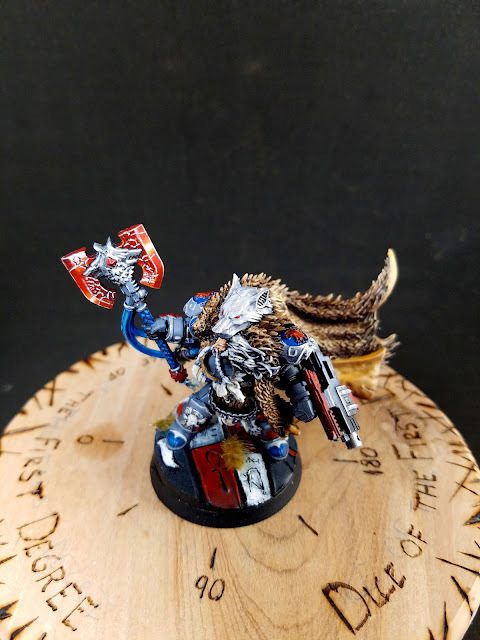 I didn't plan on painting this model until March, but I just couldn't hold out that long and so I broke down and started playing with the axe and when I was done, the model was finished. 6 hours of painting. Really enjoyed this model and holy cow have I missed this kind of modding and hobbying. 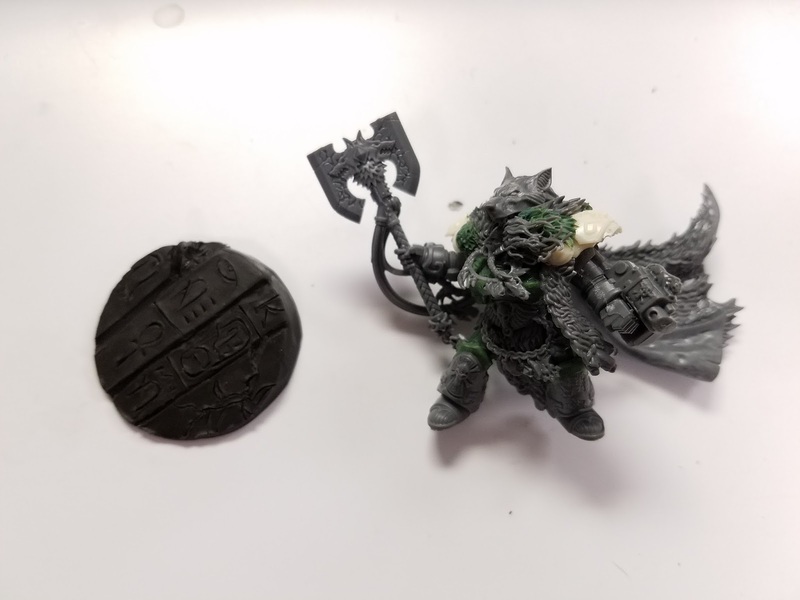 Hope you can learn a few things here, or perhaps steal the idea for your own Hvarl since it's likely going to be awhile before FW releases one, if ever. Any comments or questions, feel free to leave. Enjoy your weekend! How does one start Trollbloods? Not with the Battlebox.